I’d like to start by saying that this review was originally planned for last week. I thought it would time out appropriately as my 81st post, and more importantly, with its relevance to Veteran’s Day (being a VAP label). Unfortunately, life isn’t perfect and things sometimes don’t go as planned. Speaking of things that aren’t exactly perfect, it’s time I take a more critical look at 81-proof Wild Turkey KSBW. After several inquiries and requests from followers, Turkey fans want me to give this expression the proper Rare Bird treatment. For better or worse, the day has come. I’ve addressed lower-proof WT KSBW expressions in past reviews, but they were earlier bottles (pre-2006). There were different factors at play in those times. Lower barrel entry-proof, older facilities, and different ownership (see my Wild Turkey Timeline for additional details). I have, however, touched on a 2016 81-proof bottle in this year’s Father’s Day post, though only as a mixer in a Kentucky Mule. It was by no means a formal review, though for the record any Wild Turkey KSBW (including lower-proof expressions) should work fine in a Kentucky Mule. Overall: Okay, so there’s nothing here to brag about. It is what it is – a younger, more diluted version of modern Wild Turkey 101. It’s not bad, but it’s not going to blow you away with complexity either. It’s probably best said that Wild Turkey 81 isn’t the typical whiskey enthusiast’s pour. There’s nothing wrong with that. I think Wild Turkey is well aware of the demographic that faithfully buys this bourbon. It sips light, is an easy mixer, handles basic cocktails, and probably sees a lot of use in hot toddies throughout cold and flu season. As for the quality of Wild Turkey 81 as-is, I view it as a step above Jim Beam White Label (the best selling KSBW in the world) and frankly, I’m surprised more folks don’t see it the same way. Perhaps perception is to blame. Wild Turkey has always had a quirky name in comparison to other whiskeys. 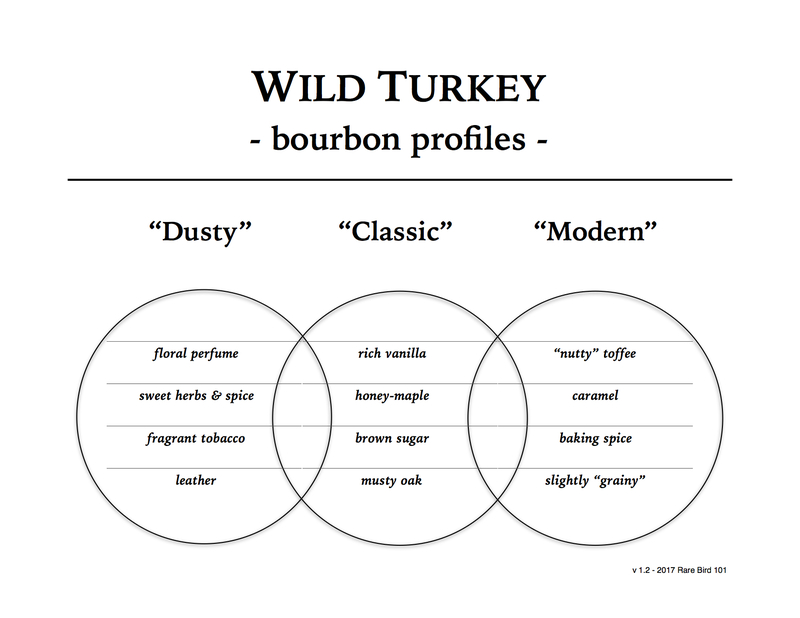 While many bourbons tout bygone initial-laden names for which most consumers (even enthusiasts) know little about, Wild Turkey has always been Wild Turkey. It’s also a brand that suffers from popular misconceptions – that it’s the whiskey of choice for old men, frat boys, and rock & rollers. I think mainstream opinions will eventually change, but until then the average consumer buying KSBW is missing out.